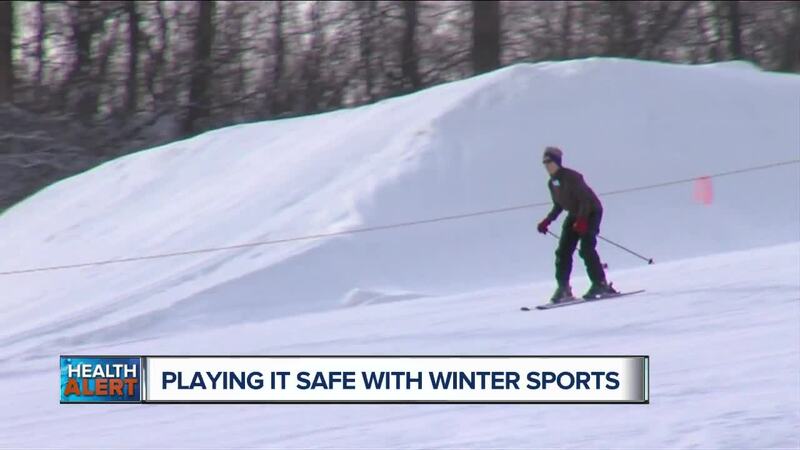 (WXYZ) — Winter is in full swing and so are recreational activities like skiing, snowboarding, ice skating and hockey. But alongside these fun winter activities comes the risk of injuries. Question: What are some common hazards people should be aware of? I love winter activities as they can motivate folks and families to get off the couch and out of their house. Now many of you know how important daily movement is. And winter sports are an excellent way to take part in some fun physical activity. But there are some risks you should be aware of. Besides bumps and bruises, common injuries seen at emergency rooms include sprains, concussions, dislocations and fractures. Question: Just how prevalent are these types of injuries? Question: What can people do to avoid getting injured? 1. If you start to feel tired or exhausted, slow down or stop what you’re doing. Because your risk of injuries spike once fatigue sets in. 2. Always wear protective gear that’s designed for your sport. Very important. That means you don’t wear a bicycle helmet if you go skiing. Also be sure all equipment is not only in good condition but also fits well. Or it won’t be as effective. 3. Take lessons to learn proper technique and safety rules. So many injuries happen when kids and adults lose control, are moving too fast or try something that’s beyond their ability. 4. Lastly, drink plenty of water, dress appropriately for the temperature, and watch for frostbite and hypothermia. Also buddy up. Please don’t go alone or let a child go alone. As the saying goes, there is safety in numbers. And I definitely want you all to have fun while staying safe.